Mobile technology has rapidly become a trusted ally for many medical professionals – making it easier to care for and communicate with patients, improving care, streamlining the workday, and helping improve regulatory compliance. In fact, a recent study found nearly 90% of respondents are using mobile devices within their organizations to engage patients in their healthcare. If you’re an IT professional in a busy healthcare environment, the challenge now isn’t necessarily getting staff to adopt new technologies, but finding the combination of solutions and products that are the right fit, with the specific apps, embedded features, and security protections that can help caregivers truly engage and involve patients in their own health and wellness. 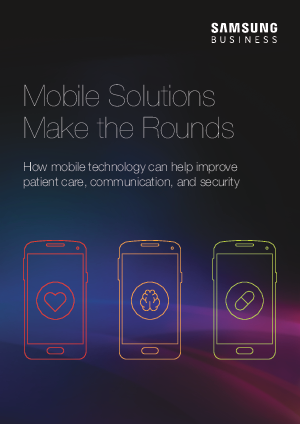 This eBook takes you on the rounds to examine a few use cases where mobile solutions are just what the doctor ordered.